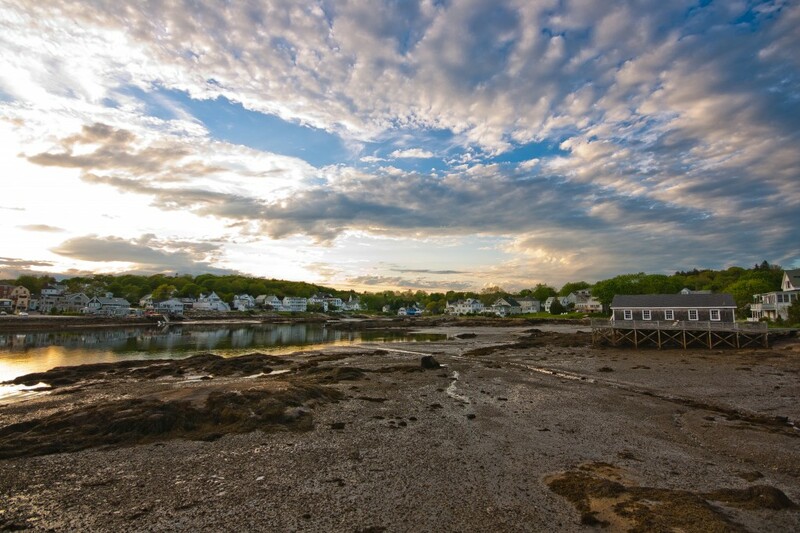 What's New in Boothbay for 2012? What’s New in Boothbay for 2012? Winter is slowly coming to an end and spring is fast approaching. The summer for Portside is filling up fast! Only a couple of summer weeks are still free, but there are a number of weeks in the spring and fall still available. So be sure to book soon! We added a trellis on the waterfront deck so there is now more privacy between the Starboard and Portside decks. I am keeping some of my favorite Christmas gifts at Portside, including some more cookbooks, a waffle iron and, most excitingly, a new Keurig coffee maker! Please visit my photo site to view or purchase additional photos of Boothbay Harbor. The 2012 Boothbay Harbor Region Visitor & Resource Guide is now available online! Starting in March, the Opera House will be in full swing. Click here for more information on upcoming events at the Opera House. You may also want to check out the events calendars for the Boothbay Playhouse, the Carousel Theater, the Coastal Maine Botanical Gardens, the Aquarium and Boothbay Railway Village. The 39th annual fisherman's festival, including the Shrimp Princess Pageant, the Cod Fish Relay, Lobster Crate Running, a Fisherman's Memorial Service and Blessing of the Fleet, will take place April 27th - 29th. June 1st - 3rd is the First Annual "BRU Team" hop swap and grand opening of Boothbay Craft Brewery! This weekend of events (even kid-friendly ones) is co-sponsored by a number of other local businesses. McSeagulls is offering special dinner deals. Click here for information on purchasing tickets. Mid-June will see the grand opening of The World is Mine Oyster, a new raw bar and gathering place on Pier 1 (next to McSeagulls). As the name implies, oysters will be their specialty, but they will offer a number of other culinary treats, as well as live music and space for private functions. Read the Welch House's post for more details. June 26th & 27th will see Boothbay's 50th Annual Windjammer Days Festival, including an antique boat parade and street parade, an arts & crafts fair, free waterfront concerts and fireworks over the harbor. There will also be fireworks over the harbor on July 4th (9pm - 10pm). Restaurant Week in Boothbay is September 22nd - 28th this year. A number of restaurants in the Boothbay region will be offering special three-course menus for $23.12 per person. The nearby town of Damariscotta will hold its annual Pumpkinfest & Regatta September 28th - October 10th, including numerous pumpkin-related activities for the whole family. See the Boothbay Chamber of Commerce's Events Calendar for information on additional upcoming events. We hope to see you in Boothbay soon! Click here for more information on reserving Portside. And if you have stayed with us in the past and not yet signed our online guestbook, please do so! Thank you!